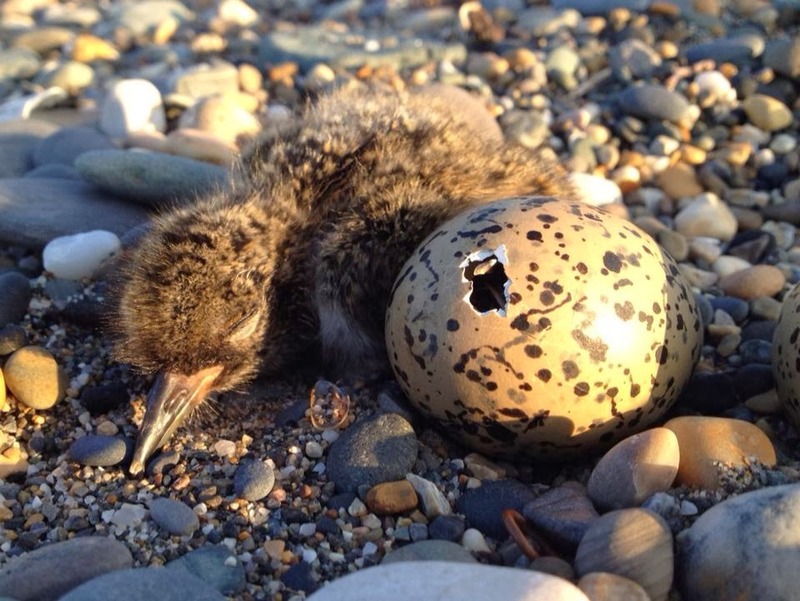 Kilcoole Little Tern Conservation Project: Kilcoole Oystercatcher chick resighted in Waterford! Kilcoole Oystercatcher chick resighted in Waterford! One or two pairs of Oystercatcher nest on the beach among the Little Terns every year. As with the terns, we do our best to keep these guys safe and monitor their progress throughout the breeding season. 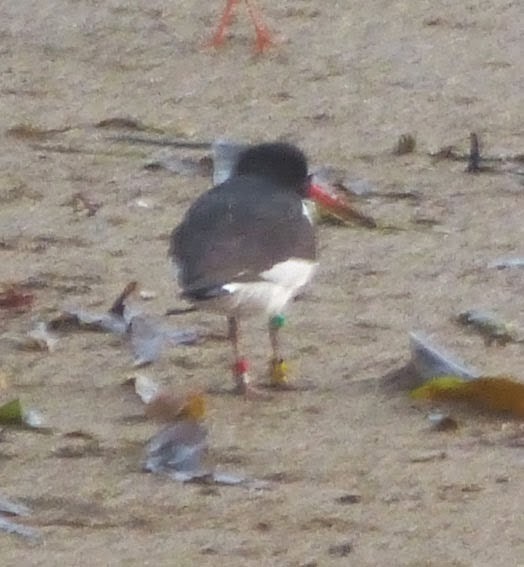 Last July, staff from BirdWatch Ireland put coloured & coded leg rings on a brood of three Oystercatcher chicks that hatched from a nest at the main tern colony. 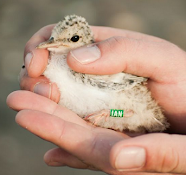 This was done as part of a monitoring program of waterbirds (including Oystercatchers) in Dublin Bay, the idea being to gain an insight into the movements of locally bred birds from surrounding areas. And sure enough one of them has been resighted! 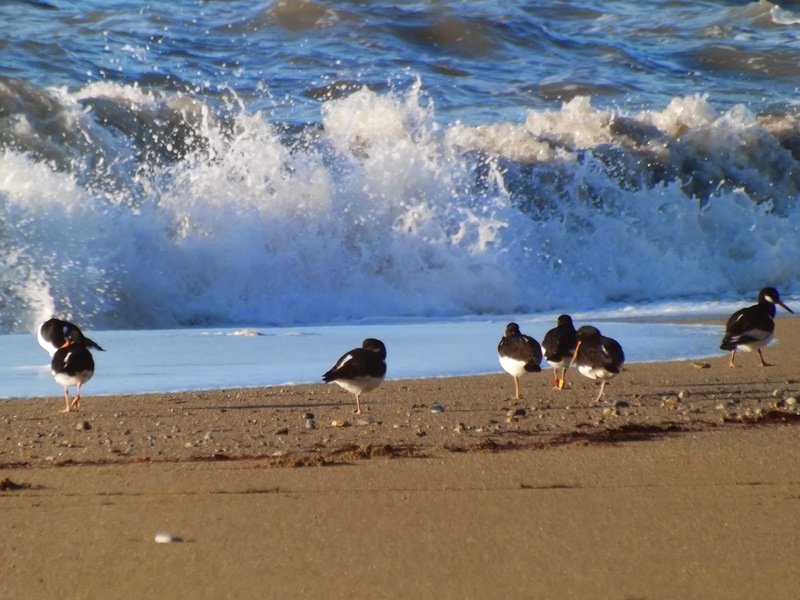 Clare Scott, an artist living on the coast of Waterford, reported a colour ringed Oystercatcher fitting the description of one of the Kilcoole birds at Garrarus beach near Tramore in December 2013. You can read all about Clare's Oyc sighting on her blog here. It was photographed there again in January 2014 by Liam Walsh. So all in all, that's a distance of approx. 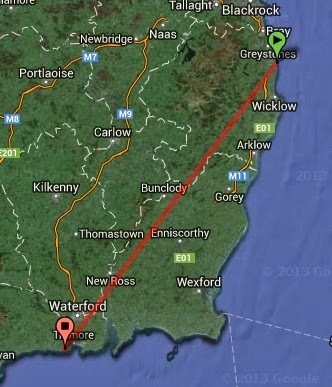 130km it has moved from its natal area at Kilcoole to the South West! This is fantastic news for those involved in both the Dublin Bay Birds Project & Kilcoole Little Tern Conservation Project. Great to know one of 'our' charges during the breeding season here at Kilcoole has been surviving through the winter and also that the colour ringing scheme is delivering some really interesting & important results such as this. The Dublin Bay Birds Project has a great blog on the go with lots of news & updates on the tracking & monitoring of wintering waders in the bay. And if you do come across a colour ringed Oystercatcher (or Redshank or Bar-tailed Godwit) then please get in touch with the project here.